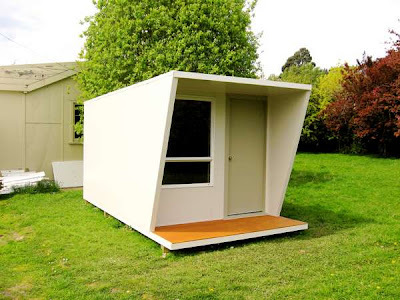 New Zealand-based Sanctuary Garden Studios have an intriguing new model, the Geo. "It's made from the same colorsteel SIPs as our other models," says Sanctuary's Brent Wilson, "and we provide it with solar or mains power." 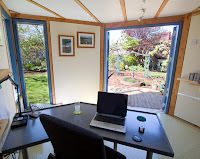 It can be manufactured with ranchslider, bi-fold or French door entrance.